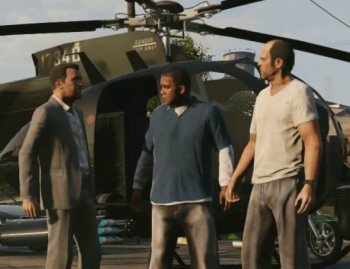 Modders want to play around in the GTA V sandbox, but need a PC port to make their dreams reality. "Please release GTA V on PC," the online petition asks Rockstar. "GTA games have been a large part of so many people's lives and it's a big shame not seeing the newest iteration of the game being released on the most powerful platform." That petition has over 54,000 signatures at time of writing, and is shooting for 100,000. "Things like modifications have always been a HUGE part of PC gaming," the petition adds, "and modded GTA is some of the most insanely fun times you can have." That's no lie; we've seen everything from stampeding elephants running amok, to a trip to sunny San Andreas for Niko. Yet Rockstar hasn't always been in a rush to bring its titles to PC, as anyone still waiting for Red Dead Redemption can attest. Rockstar hasn't said no to a PC port, at least not yet. "Everything else is up for consideration," said Dan Houser when asked why there had been no PC announcement. "That's all I can give you ... But we can do what we want wherever there's the appropriate business opportunity and chance to find a market." "If that's on Apple we put something on Apple," Houser said. GTA V is intended for release in Spring 2013, just on consoles for now.